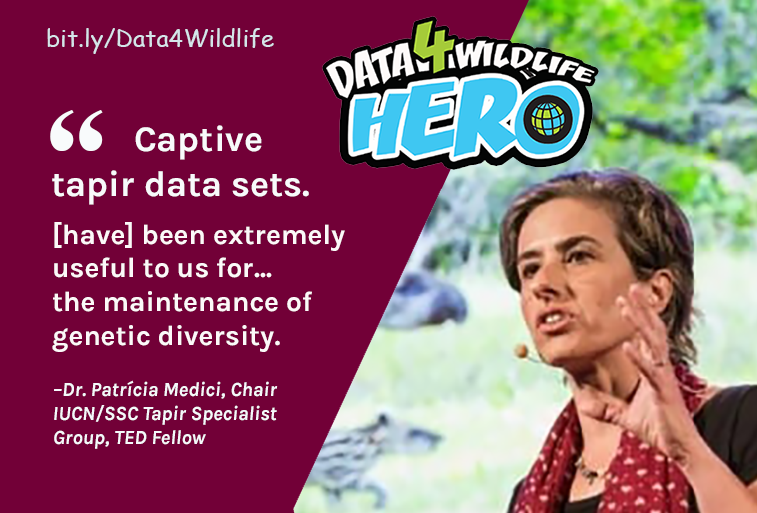 Our next Data4Wildlife Conservation Hero – is award-winning Brazilian conservationist, Dr. Patrícia Medici. A TED Fellow and Speaker, she has also been recognized with several conservation leadership awards from organizations like the International Union for the Conservation of Nature, the Future For Nature Foundation, the Whitley Fund for Nature and the Durrell Institute of Conservation and Ecology. 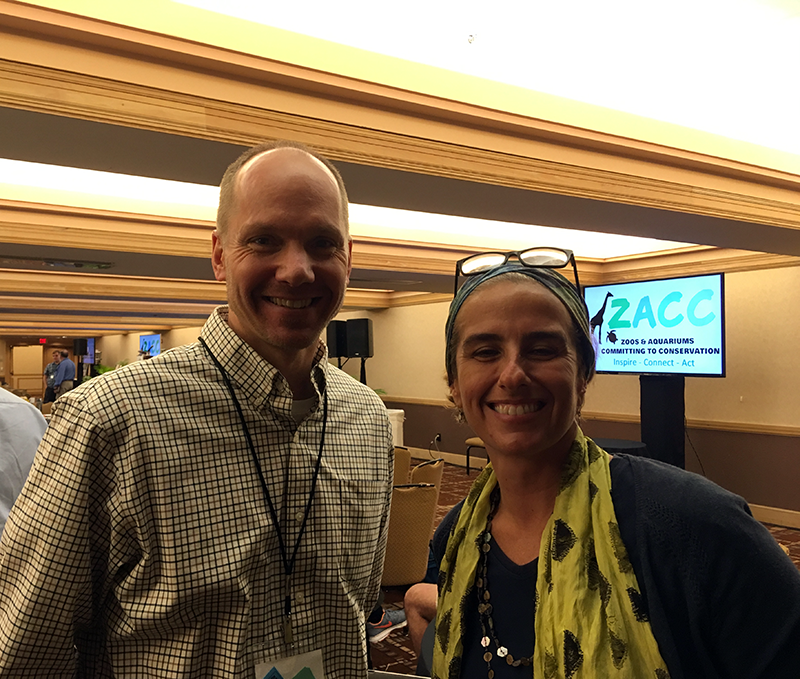 It was an honor to speak with her at the ZACC 2018 conference to learn more about her work. Don’t call me a tapir! “Tapir” is an indigenous Brazilian word that means “thick,” referring to the animal’s hide. According to Patricia, it means something a bit worse than that in common usage. Despite being South America’s largest native land mammal, and a close cousin of the rhino, it wasn’t enough to earn them respect in their homeland. 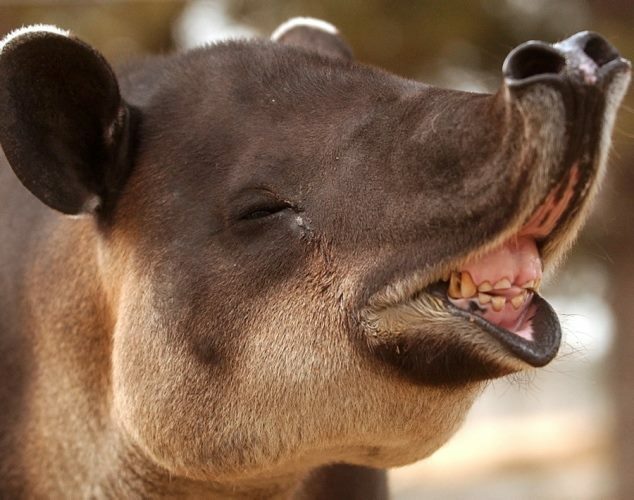 Tapirs are often mistaken for pigs or anteaters; but they’re neither. They’re actually most closely related to horses and rhinos. The Lowland tapir is a solitary and nocturnal animal, preferring to graze at night and hide during the day. Their shy nature may have helped them to escape attention long enough to become a living fossil – one that’s been around since the Eocene. In fact, when Patricia started working with them in 1996, she found “nearly zero information about tapirs.” For her, that made them the perfect animal to work with. I wanted to work with an animal that was not well known and tapirs were perfect. They’re very difficult to study. They’re solitary. You have to work during the night. So I thought that I could make a real contribution to conservation by working with tapirs. With an impressive list of affiliations and awards, Patricia is known worldwide for her work saving Lowland tapirs and their habitats. 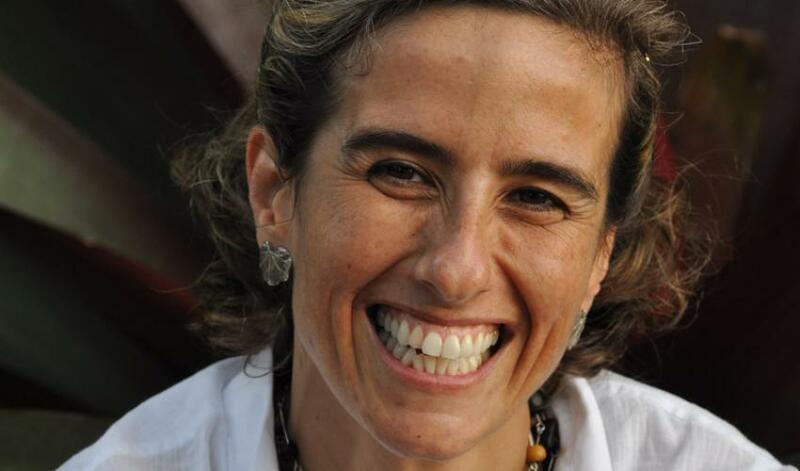 She is a founding member of the Brazilian Institute of Ecological Research (known as IPE—Instituto de Pesquisa Ecológicas), research coordinator for the Lowland Tapir Conservation Initiative, and Chair of the IUCN/SSC Tapir Specialist Group. 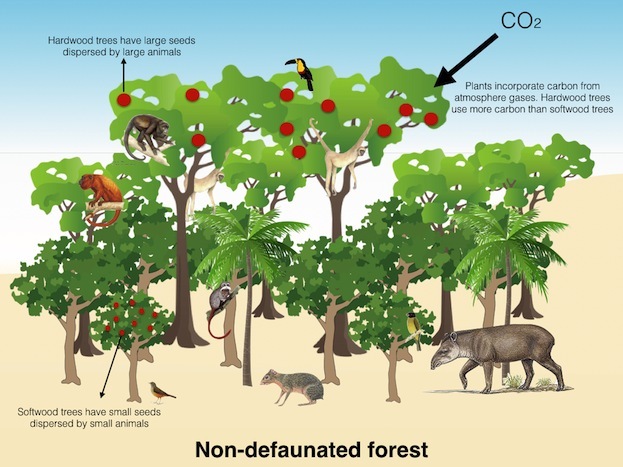 Deforestation, particularly of large, old-growth forests, is a well-documented driver of climate change. Organizations such as the UN FAO, The World Bank, Yale University, and the IUCN (International Union for the Conservation of Nature) attest to this phenomena. I also explored this in an earlier blog on the American Forests website. The link between forests and a healthy planet is complex. However, to put it simply, the largest trees not only absorb a lot of carbon, they also release a lot of carbon when they are cut down. So what have tapirs got to do with that? Tapirs are often known as “gardeners of the forest” because they disperse the seeds of the fruit they eat through their feces. By doing so, they help maintain the structure of the forests they live in. 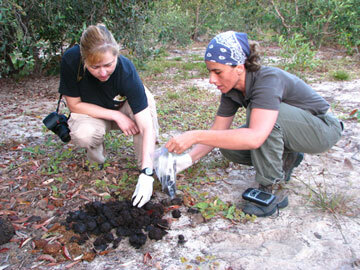 One study, in fact, found seeds from 122 different plant species in 135 samples of lowland tapir dung. As South America’s largest terrestrial herbivore, they are critical for maintaining the composition of the forest ecosystems in which they live. In tropical forests, larger trees tend to have bigger seeds. They rely on big, fruit-eating animals like tapirs to disperse those seeds. Scientists found that a decline in these species would have a direct impact on the composition of the forest itself. Large, carbon-rich trees would give way to smaller trees that store less carbon. The forest’s capacity to store carbon fell as much as 20 percent, which effectively caused an increase in greenhouse gas emissions. Tapirs have been around for more than 30 million years, but today face many risks that threaten their survival—habitat loss, hunting, disease, even cars as they cross roads at night. They also do not reproduce rapidly which further exacerbates their decline. Tapirs typically have a long gestation period lasting about 13-14 months, and mothers give birth to a single baby. Baby tapirs spend about 18 months learning from their mothers before they go out on their own. The Lowland tapir is currently listed as Vulnerable on the IUCN’s Red List of Threatened Species. 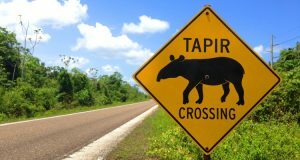 The Lowland Tapir Conservation Initiative promotes the research and conservation of Lowland tapirs (tapirus terrestris) and their remaining habitats in Brazil. Its work spans four biomes—Atlantic forest, Pantanal, Cerrado, and the Amazon, and conservationists collect ecological, demographic, epidemiological and genetic data in each biome to assess populations and develop and implement targeted conservation recommendations. 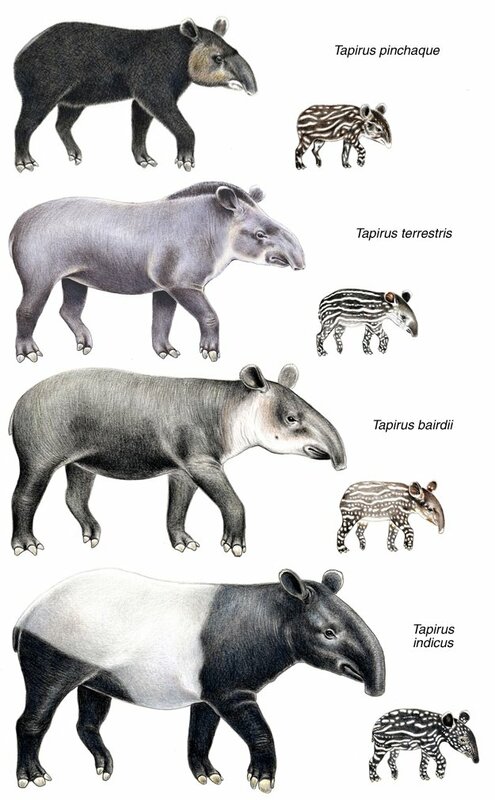 The Malayan tapir (tapirus indicus), which is the only species of tapir located in Asia. They are the largest of all tapirs and have a distinctive white stripe down their middle. The Mountain tapir (tapirus pinchaque) found in the tropical Andes mountain range. 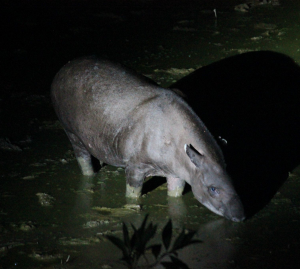 Though it is the smallest tapir species, it’s the largest mammal in this region. Baird’s tapir (tapirus bairdii), which is smaller than the lowland tapir and found in Mexico and through parts of Central America. Zoos around the world play a critical role in tapir conservation. Chester Zoo, for example, has supported research by the Lowland Tapir Conservation Initiative for over a decade. Another conservation program, The Malay Tapir Conserrvation Project, is a joint collaboration between Copenhagen Zoo and Department of Wildlife and National Parks in Malaysia. Captive breeding programs are also key for maintaining a sustainable tapir population over the long term. For example, the San Diego Zoo and San Diego Zoo Safari Park have bred more than 31 Malayan tapirs over several decades, and today have two breeding Baird’s tapirs. In June, the zoo celebrated the arrival of a new Baird’s tapir calf in June – the first born at the zoo in 30 years. Likewise, the Yokohama Zoological Gardens in Japan has an active breeding program for Malayan tapirs. Another zoo in Japan, Tokyo’s Tama Zoological Park made the news with the birth of their baby Malayan tapir in 2016 (the video in the article heralds the event). One of the core components of the Lowland Tapir Conservation Initiative’s work is gathering scientific data to develop successful conservation strategies. It may seem odd that a conservationist like Patricia, who is known for her extensive fieldwork, draws on captive data to help develop successful conservation strategies. However, one of the challenges that Patricia and her team has faced is that tapirs are very difficult to study. It has taken decades to collect enough data on wildlife populations to identify statistically relevant patterns. As a result, the team combines their research data with data from captive tapirs from as they build conversation strategies. ZIMS has data on over 488 lowland tapirs held by 198 institutions across Asia, Europe, North America, Australia and South America. And the database is growing. In the past year, 26 Lowland tapirs were born at these institutions, and data on these new arrivals is included. 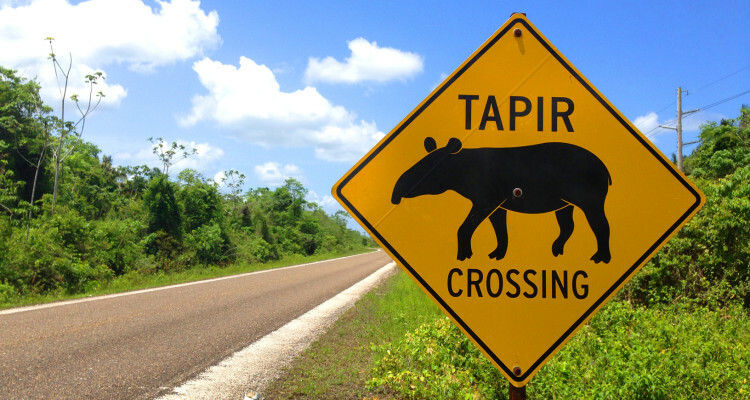 Altogether, 252 Species360 member institutions are caring for 696 tapirs, including Baird’s tapirs, Malayan tapirs, and Mountain tapirs, according to ZIMS. In fact, data on captive tapirs from Studbook Keepers in the U.S., Europe and Latin America helped Patricia’s team develop the first baseline population viability analyses (PVA) for Vortex. These were used to deliver population habitat viability assessment (PHVA) workshops.